Renault's new concept car has made its first UK debut as part of a design lab during Design Junction. 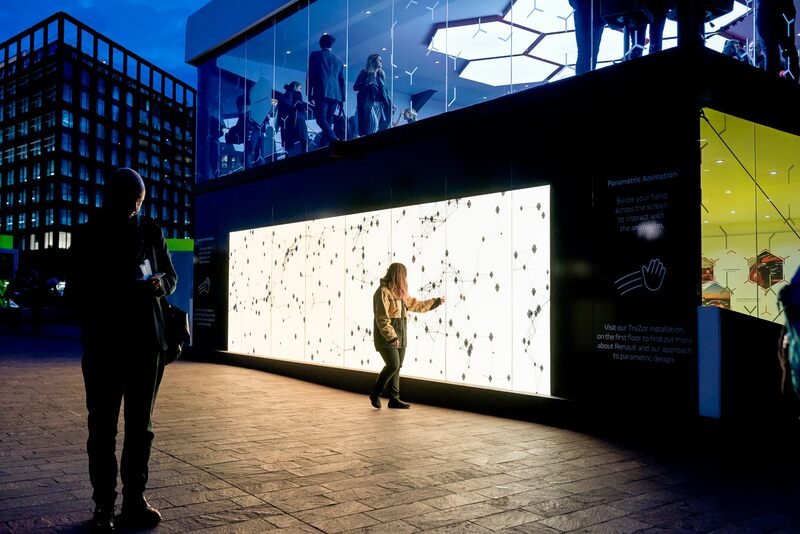 The carmaker’s stand at the festival in King’s Cross features an installation showcasing the TreZor. Renault has also created an outside seating area, a touch sensitive video wall with information on the brand’s concept cars, and its "innovation in motorsport and electrification". The car maker has also collaborated with students at Central Saint Martins with a competition to design an autonomous, modular car of the future. Winner Yuchen Cai’s "The float" is a vision of a new pod like car that aims to connect people by tessellating vehicles together. This in turn fuels the idea of a more sociable and open way of travelling in the future. Over the summer Cai spent two weeks at Renault’s design studios in Paris, working with senior designers to hone her idea. Her model is also on display at the event. Renault’s installation was created by Fusion Events. What does the future hold for connected cars?